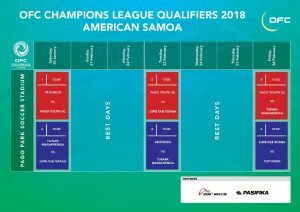 After naming the champions of the annual Football Federation Samoa 2017 national league tournament, Lupe ole Soaga confirmed to represent Samoa in the upcoming OFC Champions League. Meeting fellow brothers from American Samoa, Tonga and Cook Islands, Coach Paul Ualesi is taking the challenge to prepare his team for a very short period of time. “Because we just received the confirmation to attend within a month, it’s not getting in easier. Lupe ole Soaga seeks support and prayers from supporters and Samoa’s football community. Believe to achieve, Kiwi FC is back!